I have a 2016 Rocky Mountain Altitude 790 mil rally. All stock except for the handlebars, grips, saddle, extremely good condition with very low hours. Has maybe 30 hours of riding on it. Need to sell. I could deliver to Vancouver. 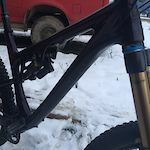 included is a maxxis 2.7 tire Crankset: Race Face Turbine Cinch 170-175mm Rear Cogs: Shimano XT 11-42T 11spd Saddle: WTB Silverado SLT Titanium Rear Derailleur: Shimano XT Shadow Plus Direct Factory Description Rocky Mountain defines enduro with their Altitude 790 MSL Rally Edition. Spin up the transfer stages, then unleash its potential on the downs. 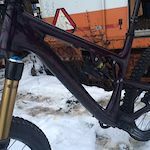 Built from Smoothwall carbon around Rocky's Ride-9 adjustable geometry, the Altitude crushes every section of trail. Up or down, with the 150mm of Fox Float X remote-controlled SmoothLink rear suspension and a hard-charging 160mm Fox 36 up front, traction is abundant, getting rowdy is standard, and every hit from braking bumps to full-compression, high-speed g-outs are handled with expertise. 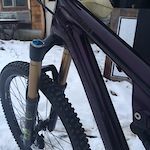 The rest of the build is just as enduro ready. 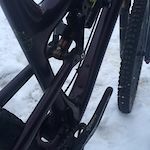 A 1x11 Shimano XT drivetrain is spun by Race Face cranks and a wide Race Face SixC bar with stubby stem gives you plenty of leverage to muscle through techy sections. With the stout 27.5-inch Stan's Flow EX wheels, tubeless Minion tires, Reverb dropper post, and Shimano XT discs biting 180mm Ice Tech rotors, it's your turn to define your riding. 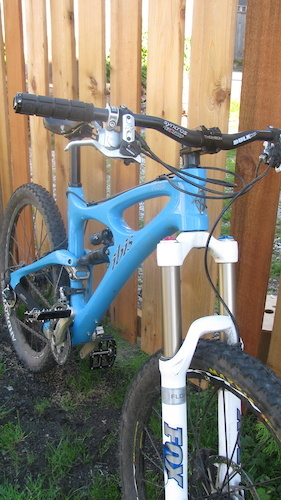 2010 ibis mojo. amazing bike just . Read the reviews. ive owned since new, it was ridden for two seasons but only 5 times this year. because of injury im forced to sell. 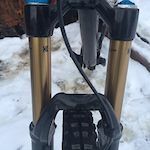 Ibis medium frame Fox dhx air rear shock Fox float r fork Mavic crossmax wheels Full xt brakes drivetrain.Thomson post and sPictures show a reverb dropper post but that is negiable. I am asking 3000 but im open to offers.